Its been a true fact for fans of sporty European small cars that life in the United States has sucked for a very long time. While the rest of the world gets fun to drive European hatchbacks from the likes of Peugeot, Renault, Seat, Citroen, and even Alfa Romeo, budget buyers in the United States are expected to choose between a Focus, a Cobalt or go Korean. While the Kia Rio makes sense at the rental counter, would you really want to own one? And it makes even less sense when you try to get one up to safe freeway cruising speeds. That car is a jittery rattletrap waiting to be hit by a giant SUV so it can fulfill its ethereal duty as your ride to the otherworld or wherever it is you believe you go when you die. Do you really want to roll into heaven on 14s behind the wheel of a Rio? Or maybe that is for people who go to that other place. Europeans have always made better solid feeling yet sporty hatchbacks. Incredibly practical, the hatchback is making a bit of a comeback Stateside thanks to the Mini Cooper, VW GTI, Honda Fit and Nissan Versa and upcoming Ford Fiesta. These are all highly efficient and fun to drive machines in a class dominated by German and Japanese automakers. So where are the French and the Italians? How can you call yourself anything other than a provincial automaker if you dont sell in one of the worlds biggest markets? Shame, shame Peugeot, Citroen and Renault. Why shame only the French? Because through a giant debacle (known as Chrysler) Fiat figured out a way to return its fizzy, fun to drive products back to our shores. 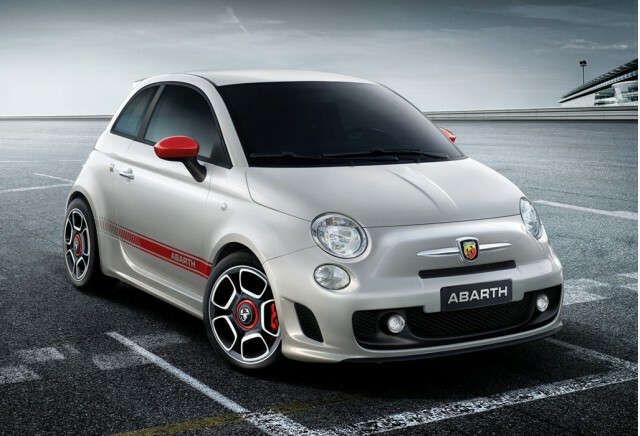 And as usual, Fiat and Alfa are on a design roll spearheaded by the blob o fun Fiat 500. But why has this taken so long and why are there no set dates yet? And why didnt the French copy Fiat and buy GM when they could have had her for cheap? Pouring salt into the wounds of small European car enthusiasts was last years much deserved win for the Alfa Romeo Mito for European Car of the Year honors. Alfa Romeos are unique in the industry because their designers dont create cars with awkward angles. So you never have the problem of loving the front of your car stylistically and being terrified by your horrific tail-light design. But with this stylish bent has in the past come with the faint aroma of unreliability. Living with an Alfa Romeo was like dating a very good looking model who sometimes forgot when you had a date and slept with all your friends. It could be heartbreaking. But the MiTo not only looks good, it also manages to return Alfa to its roots of performance and handling dominance. And yes, Alfa and Fiat have made huge strides in quality rankings in Europe. They wont beat Lexus but when the goal is to beat out Chrysler thats pretty much as easy as guaranteeing Tony Romos next girlfriend will be blonde. Why, oh why, cant we have the MiTo here in the United States yet? Consumers in America are crying out to Alfa a refrain of me too in relation to the MiTo. This was proven when new Chrysler overlord Fiat (parent company of Alfa Romeo) had a consumer clinic in the States with the MiTo versus the admittedly cutesier 500. The crowd was so in love with these cars that now both are (allegedly) coming to the United States probably no later than 2012 (which in Italian time can mean 2015). The MiTo also is no laggard when it comes to the engine department. In addition to a wide array of fuel efficient petrol and diesel models, it also is available with a 153 horsepower 1.4 liter turbocharged engine featuring Alfas class leading Multiair technology that improves power and fuel economy by an estimated 20%. Can you say Mini Cooper killer?